April 13th in Theme Lists, WordPress Themes by Wordpress Jedi . 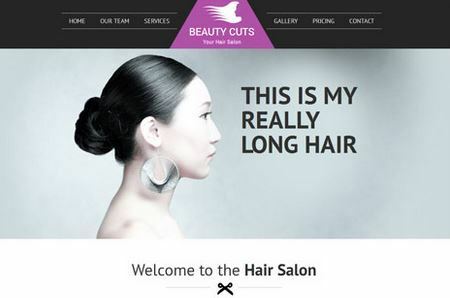 Hairpress: a theme for hair salons. It is responsive and has multiple custom pages. You can customize its colors and change other settings from the admin panel. 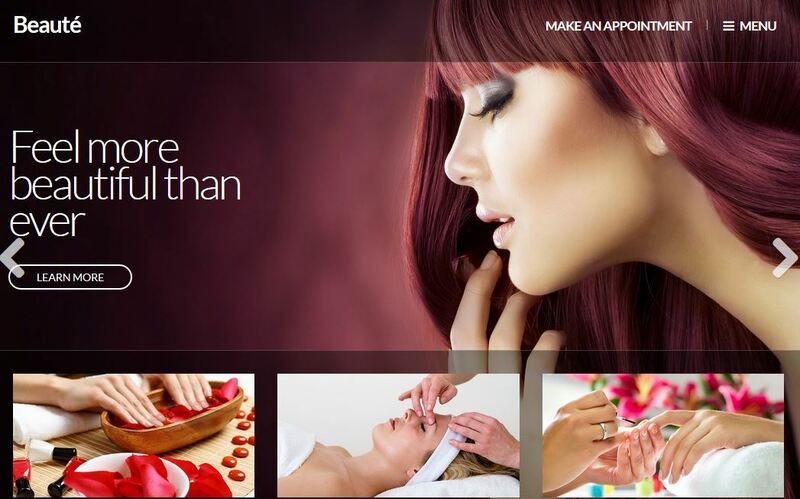 Hairpress is compatible with WooCommerce. Service Biz: a versatile theme for businesses that want their customers to be able to book appointments online. It is WooCommerce ready. You can maintain a side blog too. 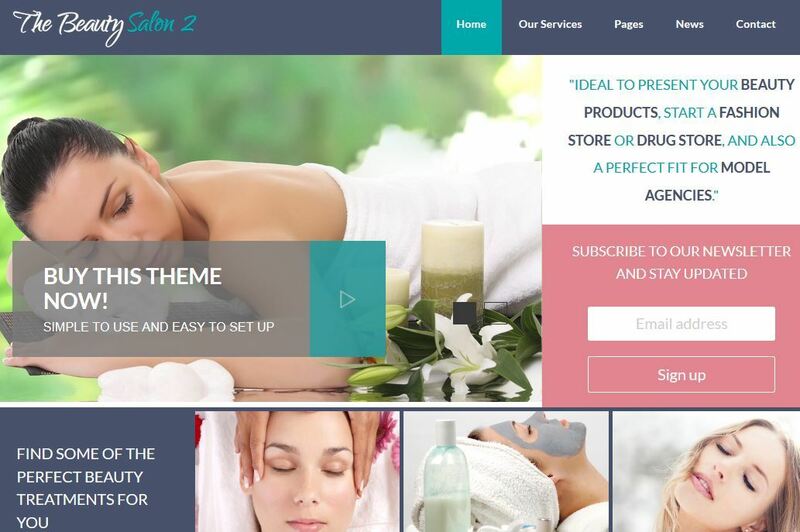 The Beauty Salon 2: a responsive template with unlimited color variations. It is built with Twitter Bootstrap. It supports Google fonts. 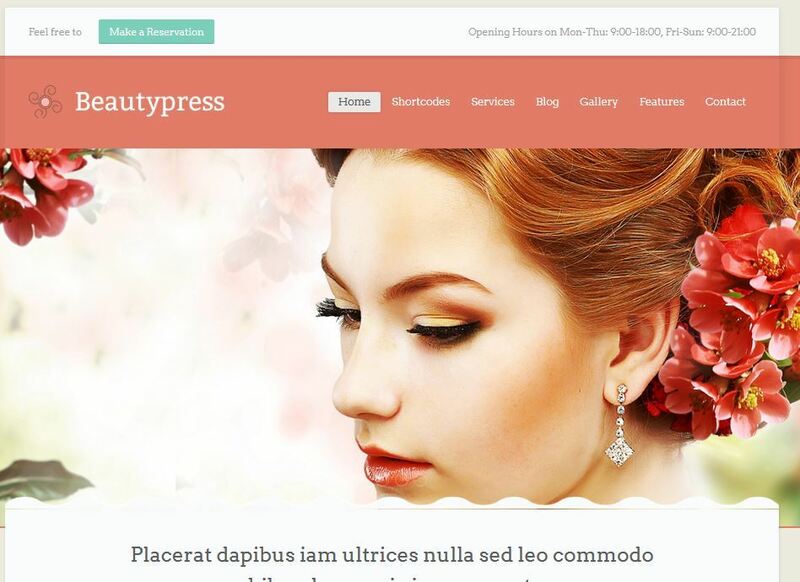 Beautypress: this theme is designed for beauty, healthcare, spa, and massage salon websites. It has a drag & drop homepage builder. The design is responsive. You get white labeled theme admin, multiple post formats, a color changer, and more. 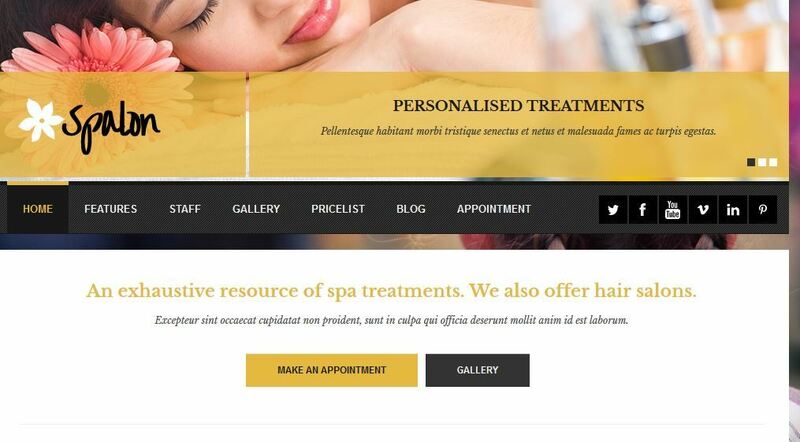 Spalon: a responsive WordPress theme for salons. It is WooCommerce ready. You get custom widgets and page templates, unlimited colors, dummy content, and a decent theme options panel. 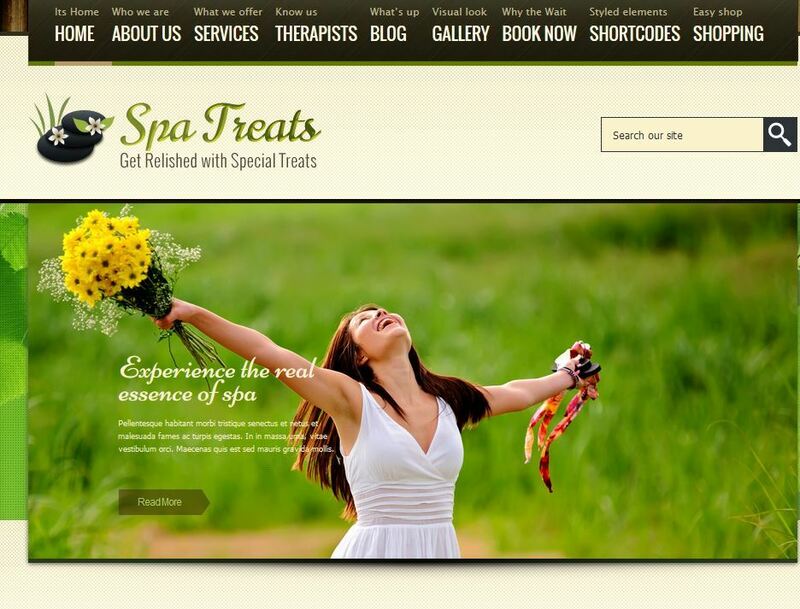 SPA Treats: this WooCommerce theme works for both spas and restaurant businesses. It has an easy slider manager, over 15 shortcodes, and MailChimp support. It uses the Buddha panel. 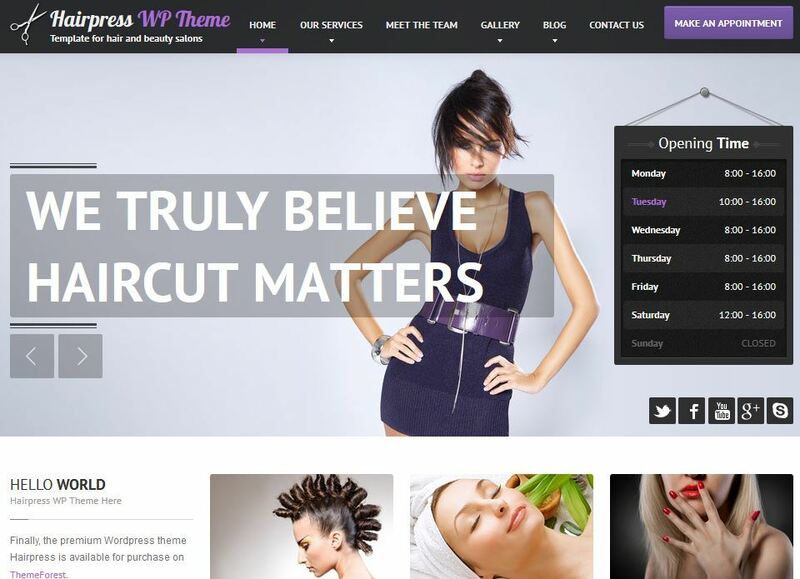 Beauty Cuts: a responsive hair salon theme with a team area to showcase your team members and their talents. It is coded with HTML5 and CSS3. Sample content is available. Beaute: a template for health & beauty sites. It offers multiple useful post types and a full screen homepage slider. 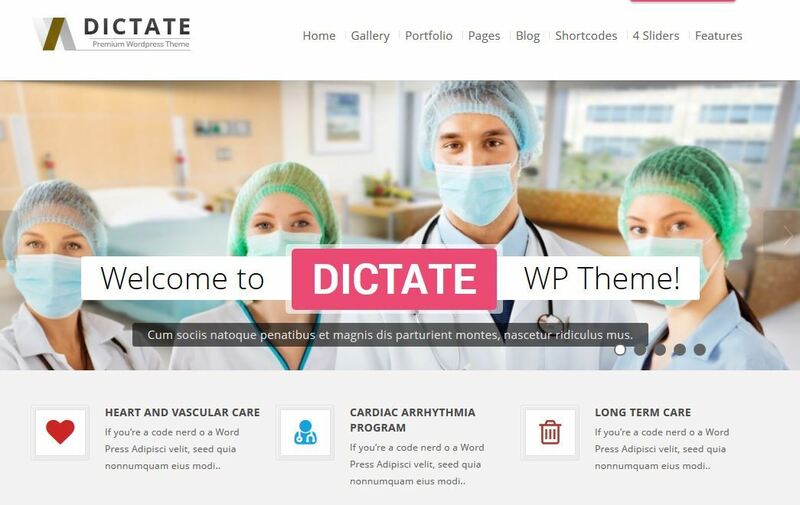 Dictate: this theme has 14 built-in homepages, so you can use it for business, spa, fashion, or health sites. The design is mobile friendly. 4 sliders and 15 color schemes are available. 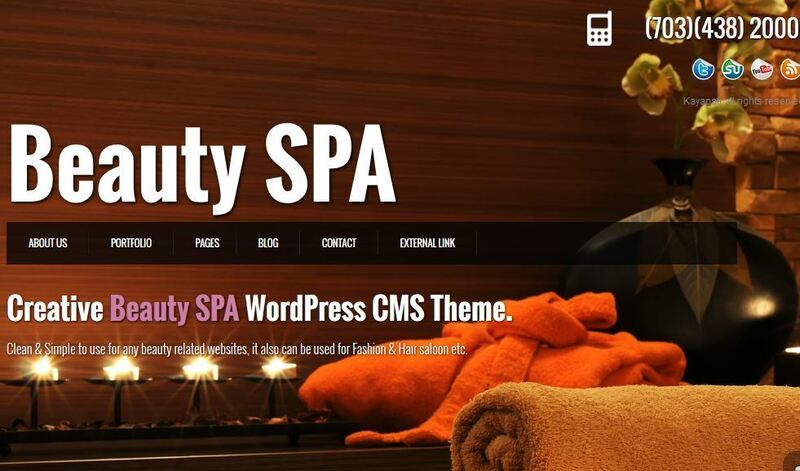 Beauty SPA: a responsive theme with jQuery animated pages, easy to use theme options panel, and a portfolio slider. You can add custom Google fonts. 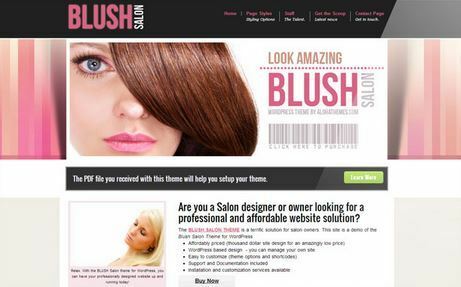 Blush: a good looking theme that has a homepage image slider with 15 transitions. You can use Google fonts. 5 widget zones are available. The theme has built-in shortcodes to make your job easier. Which one of these hair salon themes are you impressed with the most?